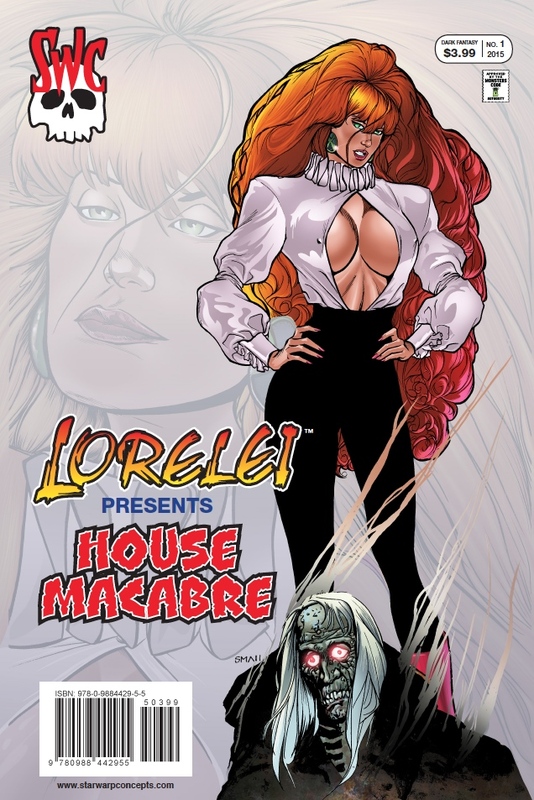 Pullbox Reviews: Lorelei Presents: House Macabre- Move over Elvira and Vampirella… The new face of horror anthology comics is here! Join the soul-stealing femme-fatale as she hosts her first comic anthology, in celebration of her 25 years as SWC’s first lady of horror! “The Old, Dark Manse,” an introduction starring Lori, written by Lorelei: Sects and the City author Steven A. Roman, with pencil art by Uriel Caton (JSA Annual, Heartstopper: The Legend of La Bella Tenebrosa) and inks by “Chainsaw” Chuck Majewski (Harvey Kurtzman’s New Two-Fisted Tales). “All in Color for a Crime,” by Steven A. Roman and artist Lou Manna (Young All-Stars, T.H.U.N.D.E.R. Agents). Toby Bartlett is obsessed with comic books. And when someone beats him to a rare collectible, then that kid better beware—or should Toby be the one fearing for his own safety…? 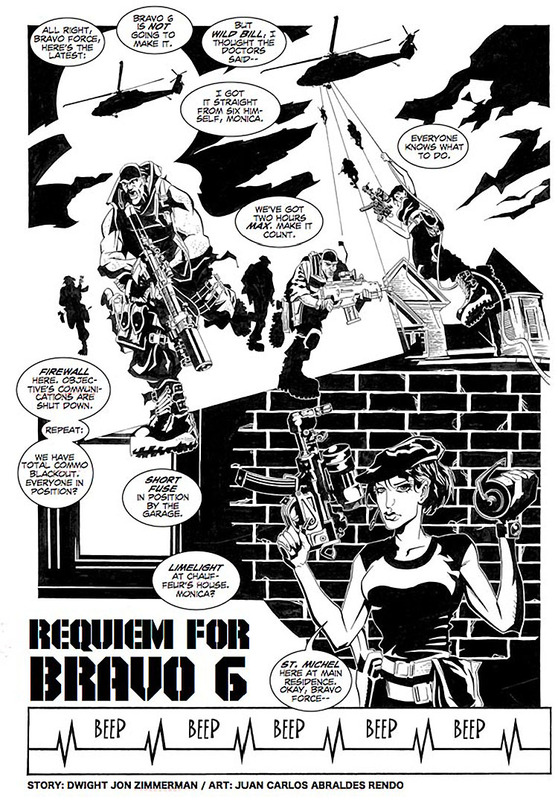 “Requiem for Bravo 6,” by Dwight Jon Zimmerman (Web of Spider-Man, Transformers) and artist Juan Carlos Abraldes Rendo. 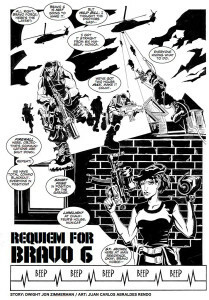 A special-ops team on a mission of life and death! Will they succeed in carrying it out—and if so, what will be their ultimate fate? Plus: “The Basilisk,” a “Lori’s Feary Tale” written by Roman and drawn by John Pierard (Graphic Classics, My Teacher Fried My Brain). If a rooster and a snake did the horizontal mambo, would it produce such a hideous progeny as the basilisk? And what could possibly kill it? Any fans of the old fashioned horror anthology comics (Eerie, Creepy, Tales from the Crypt, etc.) are gonna want to take a look at this one-shot from Star Warp Concepts. First of all, Lorelei brings back the non-PC days when a very… ahem… well-drawn character can run the intro with wit and style. She’s very much aware of the appeal she’s going to have with certain readers, and she’s not shy about giving them a hard time. Secondly, the stories themselves are varied and interesting enough to carry their own weight. Each one is completely different from the rest, given a creative twist here and there, and drawn in a good, crisp black and white style. Is this title going to be for everyone? Probably not. There are people who have a tough time getting into an anthology style of story-telling… myself included. When you’re dealing in short stories, it gets tough as a reader to get invested in what’s going on. You know that there are only a handful of pages available to establish a narrative, the chances are that you’re never going to see these characters again, so why spend the time? With House Macabre, that didn’t seem to bother me. The book holds up. If campy horror fun is your thing, this should be a hit for you. Give it a shot… If nothing else, you wouldn’t want to disappoint the lady. Would you?